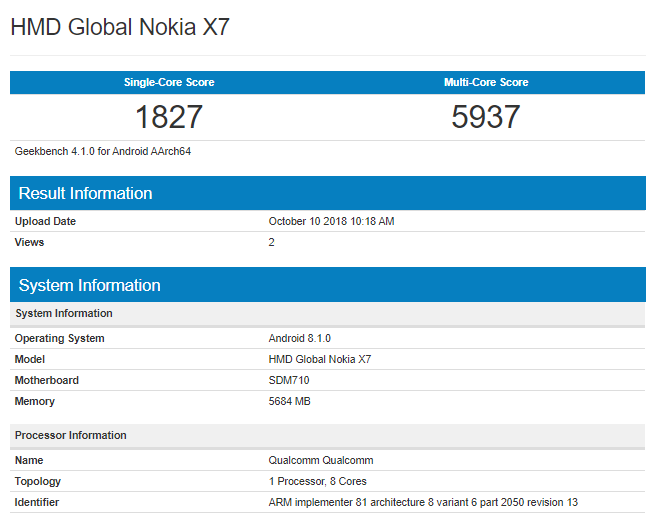 Nokia X7 Geekbench Listing Confirms Snapdragon 710 Chipset - Playfuldroid! HMD Global has recently launched the Nokia 7.1 smartphone with notched display. The Finnish firm has recently revealed through its Nokia Mobile Weibo account that it will be announcing a new smartphone on Oct. 16. Rumors have it that the company will be launching the Nokia X7 smartphone on the said date. Previous leaks have revealed that it could be the first phone from the company to feature Snapdragon 710 chipset. Today, the smartphone has surfaced on Geekbench to confirm that it will be indeed coming with Snapdragon 710 chipset. The Geekbench listing of the smartphone labelled as “HMD Global Nokia X7” reveals that it is driven by Snapdragon 710 chipset and 6 GB of RAM. The handset is loaded with Android 8.1 Oreo OS. The Nokia X7 could be yet another Android One device from the company. In the single-core test, the Nokia X7 has scored 1827 points and its managed to score 5937 points in multi-core test. 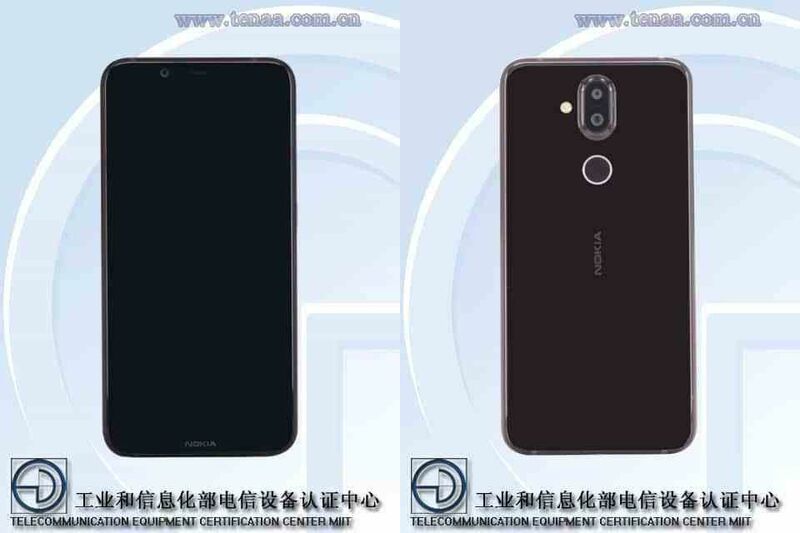 The Nokia X7 will be its exclusive name for the China. Other markets are expected to receive the smartphone has Nokia 7.1 Plus. The handset has already appeared on TENAA with its full specs. The handset will be featuring 6.18-inch FHD+ notched display, 4 GB / 6 GB of RAM, 64 GB / 128 GB of storage, 12-megapixel + 13-megapixel dual camera setup, 20-megapixel selfie shooter and 3,400mAh battery.